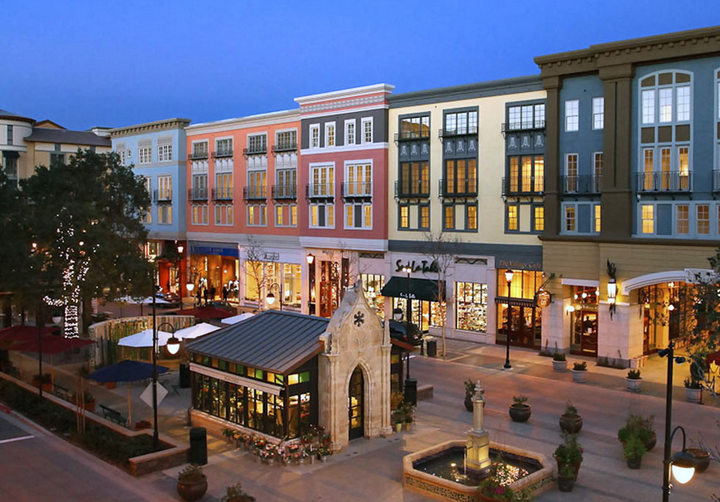 Check out what's going on this summer at Santana Row. The big item for me is the launch of three new dining options! San Jose, CA - Experience outdoor dining at three new spots, challenge yourself with free Saturday yoga classes and get your microbrew education during the annual beer walk at Santana Row. Terrace at Hotel Valencia and Lark Creek Kitchen welcome guests to relax and enjoy drinks and eats in airy surroundings. Or, have an impromptu picnic by grabbing a gourmet banh mi, the iconic Vietnamese sandwich, from the Three Seasons cart near Park Valencia. Free yoga classes in the sunshine are offered every Saturday—a perfect way to practice poses in preparation for Yoga on the Row, the big yoga event slated for September. The annual beer walk offers beer tastings with a side of shopping while strolling Santana Row. New Dining on The Row! Terrace at Hotel Valencia invites you to relax al fresco under a glass canopy while enjoying your favorite wine, whiskey or cocktail and small plates, created for sharing. Menu items include a spicy shellfish cocktail of Alaskan king crab, tiger shrimp and Maine lobster, Kobe beef sliders and local artisanal cheeses. Terrace is located in the outdoor courtyard area, across from the reception desk of the hotel. Lark Creek Kitchen is bringing new flavors and keeping a few tried-and-true favorites from its former Lark Creek Blue menu. The restaurant/bar offers seasonal farm-to-fork dining, carefully selected wines and expertly crafted cocktails. Three Seasons banh mi cart gives diners a quick and easy option to grab a gourmet sandwich on the run or enjoy it in the park nearby. They are made fresh daily at Three Seasons, a fine dining restaurant in Palo Alto, and served warmed with each order. Selections include a sandwich called “Street Food,” piled with grilled pork, chicken and pork pate, mayo, cucumber, cilantro, pickles, Maggi soy sauce and jalapeno. Practice your sun salutations under the sunshine at Park Valencia, near Maggiano’s restaurant through September 12. The complimentary classes are held outdoors, with registration opening at8:30 a.m. each week. For more information, contact lululemon, 408.557.8721. 100 OCT (Hundred Octane) invites car enthusiasts to join them for 100 OCT Rally 2015, from Santana Row to Hollywood Boulevard to Las Vegas Boulevard. Summer is in full swing so let’s celebrate! The popular kids’ club features free entertainment, interactive games, hands-on activities and educational activities designed for parents and their pre-school aged children. Join us for live musical performances by Andy Z and take participate in programs by the San Jose Public Library. Also enjoy arts and crafts, face painting, music, balloon art, story time and more. Meet us in Park Valencia in front of Maggiano’s to pick up your activity sheet. Stroll The Row and sample 20-plus beers while enjoying the shopping and dining incentives offered during the third annual Beer Walk! Cool off with a walk around Santana Row while tasting brews from microbreweries. The beer stops are stationed in a restaurant or shop for easy sipping and strolling. Tickets are $30 and available athttp://www.eventbrite.com/e/the-beerwalk-santana-row-tickets-16921167668. The popular kids’ club features free entertainment, interactive games, hands-on activities and educational activities designed for parents and their pre-school aged children. Enjoy a dance-themed Mommy & Me with a special dance class from Silicon Valley Ballet School. Also enjoy arts and crafts, face painting, music, balloon art, story time and more. Meet us in Park Valencia in front of Maggiano’s to pick up your activity sheet. Details: 10 a.m. to noon at Park Valencia. Mommy & Me is a free kids’ club held on the second Tuesday of every month from May through December. For more information, call 408.551.4611 or visitwww.SantanaRow.com. Saturday, August 29, 5 p.m. to 7 p.m. Enjoy a summer evening with a wine stroll and silent auction to benefit Bill Wilson Center, a nonprofit organization that provides direct services to more than 3,500 children, youth, young adults and families in Santa Clara County through our various programs that focus on housing, education, counseling, and advocacy. *Must be 21 years or older to attend. Tickets are available at the Santana Row concierge office or online at www.santanarow.com. Click on the events link. The popular kids’ club features free entertainment, interactive games, hands-on activities and educational activities designed for parents and their pre-school aged children. Dress as your favorite superhero and meet other superheroes at The Row. Live musical performances by Andy Z, Silicon Valley Ballet School and Action Day Primary Plus. Also enjoy arts and crafts, face painting, music, balloon art, story time and more. Meet us in Park Valencia in front of Maggiano’s to pick up your activity sheet. Yoga on The Row for the Third Year in a Row! Bring your mat and your best yoga form for Yoga on The Row! Athletic lululemon athletica presents the popular event, a fundraiser for the Art of Yoga Project, an organization that works to rehabilitate teenage girls in the juvenile justice system by teaching them art, yoga, and journaling. lululemon athletica will donate $1 to the organization for each participant who attends this complimentary yoga event. The goal this year is to get 1,000 yogis and their mats to line the main street of Santana Row and the park. Registration will begin promptly at 8:30 a.m. and class begins at 9 a.m. Please arrive with a mat, towel, and a smile! All levels welcome.